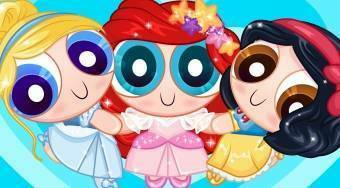 Do you like Powerpuff Disney Girls? Share it with your friends. Powerpuff Disney Girls - dress the trio of girls Blossom, Bubbles and Buttercup from the Powerpuff Girls animated series so that they were the most beautiful.